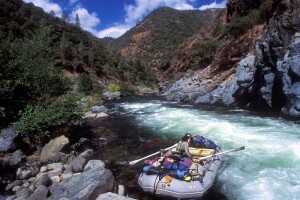 AO Blog > California Rivers: Flows, News, Events > Middle Fork American > Middle Fork American Rafting: 20% off all Trips! Middle Fork American Rafting: 20% off all Trips! A steep, dramatic canyon, clear open skies, and 18 miles of cool refreshing water that’s an easy drive from the Bay Area and Sacramento……how could the Middle Fork of the American River get any better? Well, I’ll tell you. Because all–and by all I mean one, two, and even three day–Middle Fork American rafting trips are 20% off from now until the end of September! The only catch (and ain’t there always one, although this one is pretty harmless if you ask me) is that you have to book your trip by Labor Day. The only hard part is figuring out what day to call in sick to work . . . Still not convinced? Read reviews of Middle Fork Rafting trips. For even more, go to Yelp!